These shoe covers have a smooth aero look with enough flex to fit around all manner of BOA dial or buckle. VeloToze released its latest product at Sea Otter, announcing a new MTB shoe cover. Like all their shoe covers, it’s packable and lightweight. And since this is an MTB version, it’s also designed to put up with the demands of rough trails and gravel roads. Available in mid-calf and low-cut versions, these covers will keep your feet dry and are small enough to stow in a saddle bag. 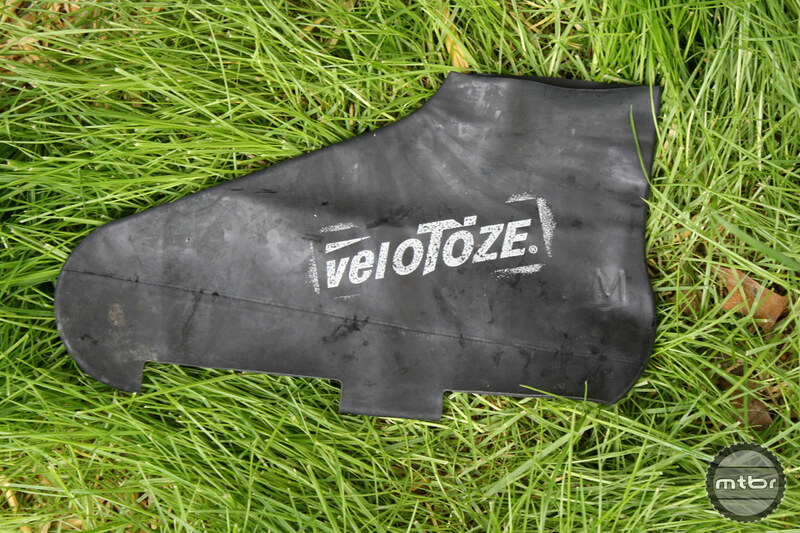 VeloToze shoe covers are a mainstay at wet or cold road races around the globe. Known for being waterproof and warm, many racers seek them out for their aerodynamic advantage and overall cool matching look. 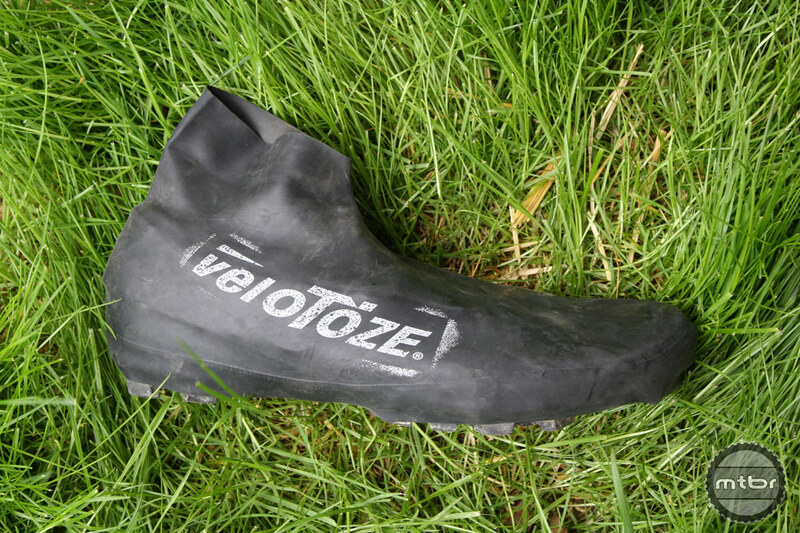 Recently veloToze entered the mountain bike world, releasing two versions of a dirt specific waterproof shoe cover. The mountain bike version of the shoe cover is a beefed up version of the road design with subtle tweaks for the demands of off-road riding. 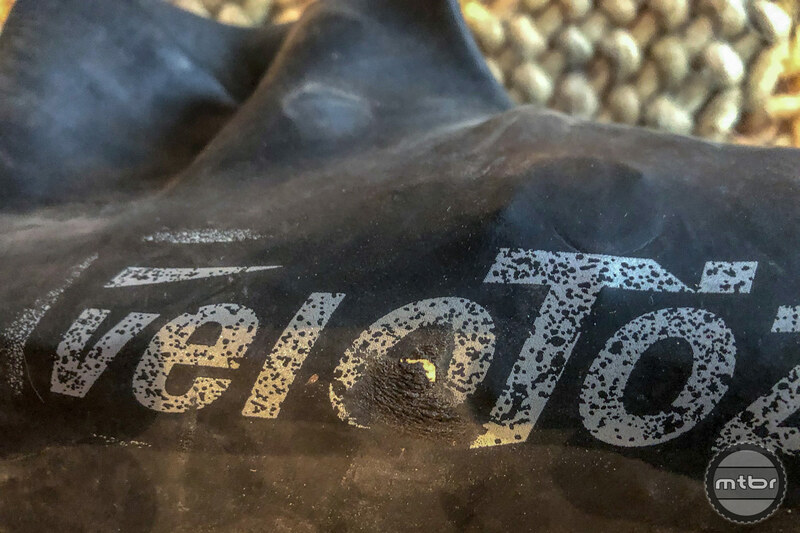 The veloToze MTB aims to protect mountain bike shoes from rain, cold, and mud with packable mid-calf or low-cut versions. Crafted of veloToze’s signature waterproof material, the MTB’s are reinforced for use on gravel trails and/or walking on rough and slick terrain. 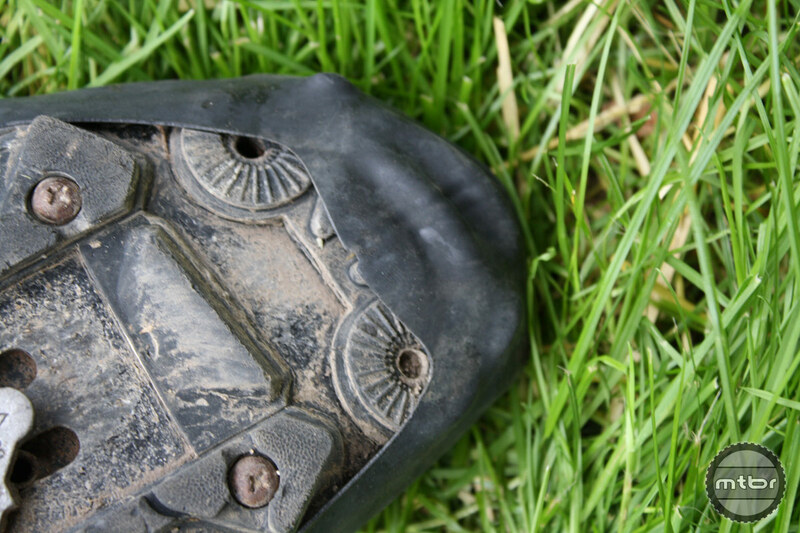 Cleat holes are cut for mountain bike cleats and tread patterns, so all manner of shoe should fit inside. The veloToze MTB have an extra layer of protection near the tread. I’m familiar with Velotoze and use them regularly on winter and spring road training rides. I always wondered if they would be good for off road use. The fit is snug but not too tight: think secure but not binding. Once on veloToze are slightly noticeable in the flex of the shoe and can be clammy feeling, especially on longer gravel rides. The veloToze are as packable as you can get for waterproof shoe. I did have problems with the material ripping on rocks, but I would expect traditional fabric covers to rip in similar circumstances. A slight wearing out of the rubber occurred after a gritty, sandy ride on my local fire roads. The constant striking of my shoe to the crank arm left a hole in the shoe cover. The good news is that it has not grown since that ride. This could be from a fit issue of my own doing or my foot being too close to the pedal crank arm, but this never happened with my cloth shoe covers. The tread on some shoes such as the Bont Vapor-G pictured here may wear through the covers. Bottom line, the veloToze MTB’s are a solid solution for riders looking to keep their feet dry on the trails in conditions that are around 40 degrees and below. After reviewing, I decided to keep a pair of veloToze in my saddle bag as a “just in case” option. Though they are not as breathable as fabric offerings, veloToze MTB covers are extremely water, wind and element proof. A slight wearing out of the rubber occurred after a gritty, sandy ride on my local fire roads. A smooth aero look with enough flex to fit around all manner BOA and buckle. 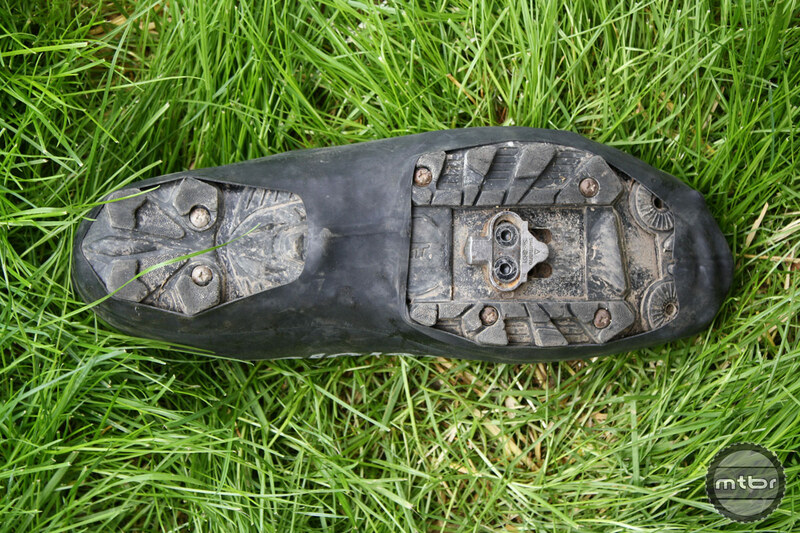 The mountain bike version of the shoe cover is a beefed up version of the road design. MTB veloToze have an extra layer of protection near the the tread for added protection. The tread on some shoes (Bont Vapor-G pictured) may wear through the covers if not using toe spikes. A slight wearing out of the rubber occured after a gritty, sandy ride on my local fire roads.